The June edition of Tabletalk is out. 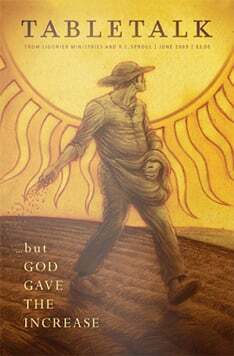 This month’s theme is “The Parable of the Sower” and it provides an exposition of this parable of Jesus, focusing on the gracious work of God in salvation. Contributors include R.C. Sproul, Daniel Doriani, Michael Glodo, Lane Keister, Robert Rothwell, Scotty Smith and Justin Taylor. “Plowing in Hope” by R.C. Sproul Jr.